Co Lecturers: Mother Superiour Linda Kreeger o.s.mm. and Deacon Arlen Glispy Jr. o.s.a. Celebrant: Bishop Andrew R. M. Manley DD., o.s.a., o.s.p. This entry was posted in Uncategorized and tagged Care, Celtic Cross, Christ, Damnation, Earth, Gather, God, Group, Grow, Hell, Help, Jesus, Lord, Ministry, Missionary, Music., Nation, Non-Denominational, Organize, Savior, spirituality, Sunday, ULC, Under, Universal Life Church, Video, worship. Bookmark the permalink. 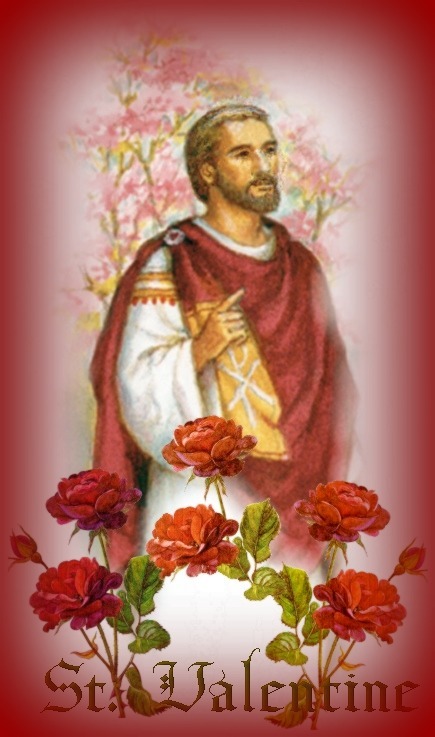 This story of St. Valentine is brought to you courtesy of the History Channel. This entry was posted in Uncategorized and tagged 14th, Christ, Devotion, Faith, February, God, History Channel, Holy Spirit, Holy Trinity, Jesus, Love, Saint Valentine, Spirit, Understanding, Valentines Day. Bookmark the permalink. Folks I don’t write often in this following way but do to my calling to ministry and the position the Lord has placed me, I give you these following comments and ask you to take to heart the intent that we are all one in Christ Jesus. With the announcement of Pope Benedict’s resignation from the papacy I am encouraged for the church. Not that He is “retiring” for reasons only known to himself and to God but that the wisdom and strength it took to come to the realization that his effectiveness and health may not be up to the tasks of the office for which he holds. It is an opportunity that we who call ourselves Christian can do our part by lifting our prayers and concerns to the heavenly Father and plead our case and want for the church. His church. A church of the people and of God as the head. Many Catholics have faltered these past years because of the style of governance coming from the Vatican, yet now it is our turn to be heard. Even though Pope John Paul the II and Pope Benedict the XVI have placed a very Conservative leadership with their appointees to the rank of Cardinals. We can be diligent in our faith and understanding here in the west as well as around the world, that Christ hears our cry for true change and reform in the church. 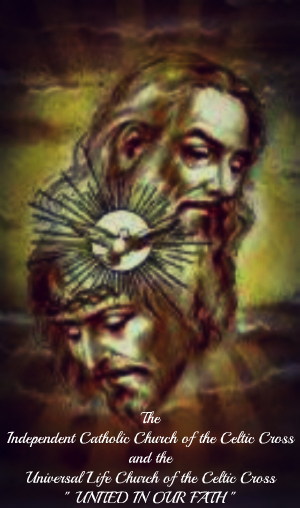 I know that through continuous prayer and devotion to the Holy Trinity change will come. The church has the unique opportunity to respond favorably to the billion plus Catholic patrons to the growing need and urgency from the next pontiff whom the Cardinals will elect to the office. So let us pray together that our prayers will not only be heard but acted upon accordingly. I do not expect sweeping reforms from the new Pope however, there is hope that many issues that face the church today maybe appeased through the wise council of those with the insight and foresight to vote accordingly with the people. No matter what folks, we need to accept the new papal leadership with open arms and have the faith of Christ himself to know that He truly is the one in control. I encourage any and all people who read this to be steadfast and patient in the coming months. And as we go into the Easter season with the hope of the Resurrection of Christ, we to will experience a new resurrection of the church. Weather you are Roman Catholic, Independent Catholic or a Non Catholic, the institution of the church and its longevity is of all of our concern. It will be a test of true faith of the people to come together at this time of great importance for the most powerful faith in the world. The Christian Faith and all that it entails. Bishop, Andrew R. M. Manley DD., o.s.a., o.s.p. This entry was posted in Uncategorized and tagged Andrew Manley, Bishop, Cardinals, Catholic's, Change, Christian, Conservative, Elect, Election, Faith, Holy Trinity, Honor, Hope, Independent, Independent Catholic Church of the Celtic Cross, Leadership, Non Catholic, Opportunity, Patrons, Pontiff, Pope Benedict, Pope Benedict the XVI, Pope John Paul, Pope John Paul the II, Reform, Retire, Roman, Universal Life Church of the Celtic Cross, Vatican. Bookmark the permalink. The lost can be found ! This entry was posted in Uncategorized and tagged Celtic, Christian, Church, Cross, Non-Denominational, Service., Sunday, ULC, Universal Life Church, Video, worship. Bookmark the permalink.